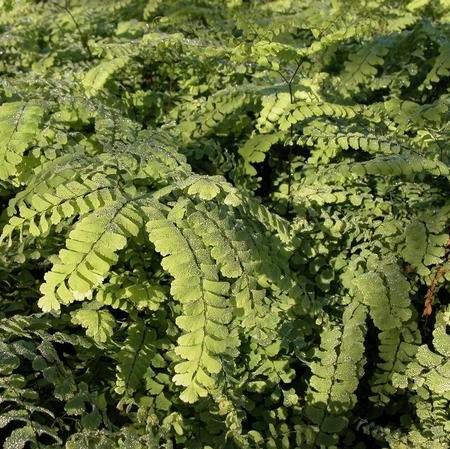 Adiantum pedatum grows best in moist shaded sites with humus rich soils. 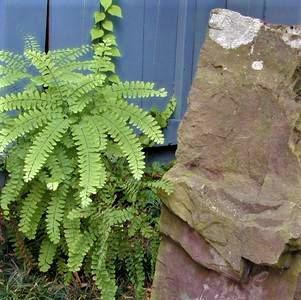 This fern prospers in slightly acid to neutral soils and is intolerant of clay. Plants require cool temperatures and high humidity and should be sheltered from wind. Short term drought can induce temporary dormancy but plants will generally return the following spring. 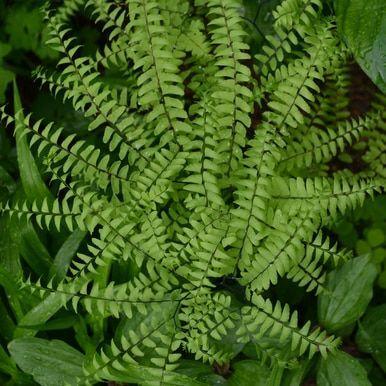 This delicate looking beauty is easy to grow and low maintenance in shaded exposures with rich, loose, moist soil. As plants mature into lush groundcover stands they provide valuable habitat for small wildlife but are generally not palatable to deer and other herbivores.